Twitter has announced that its Promoted Tweets ad platform has been revamped to allow businesses to better specify the type of campaign they want to run across the social network. From today, small-to-medium size businesses (SMBs) and Twitter API partners can access objective-based ad campaign options in beta, thereby allowing brands to create campaigns that fulfill a variety of different needs at a better return on investment (ROI). For example, SMBs can create campaigns with goals like driving followers, increasing clicks to their website or app installs, generating more leads or social media engagement and more. Each different objective comes with its own recommended ad format and simple tools (like an image cropper and drag-and-drop support) to make it easier to create an ad, which works in its own favor too – the easier it is for someone to create an ad, the more ads will likely be created. The main benefit to advertisers is that now only actions aligned with the aims of their campaign will end up costing them money. 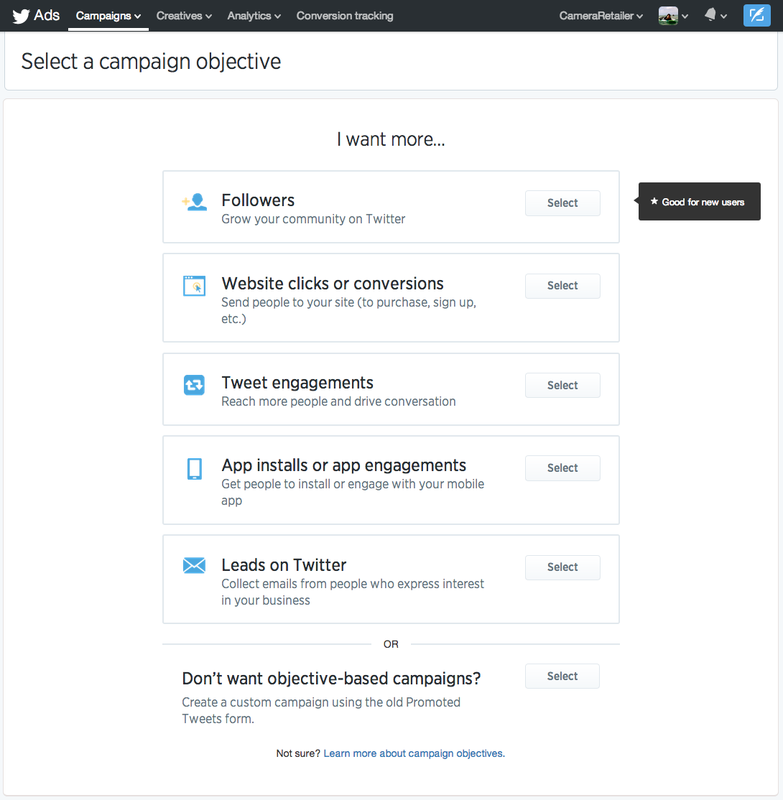 If you want to drive leads, you’ll only pay when someone fills out a Lead Generation Card in a Promoted Tweet or if you’re looking for extra app installs, you’ll be charged on a cost-per-app-click (CPAC) model, Twitter said. 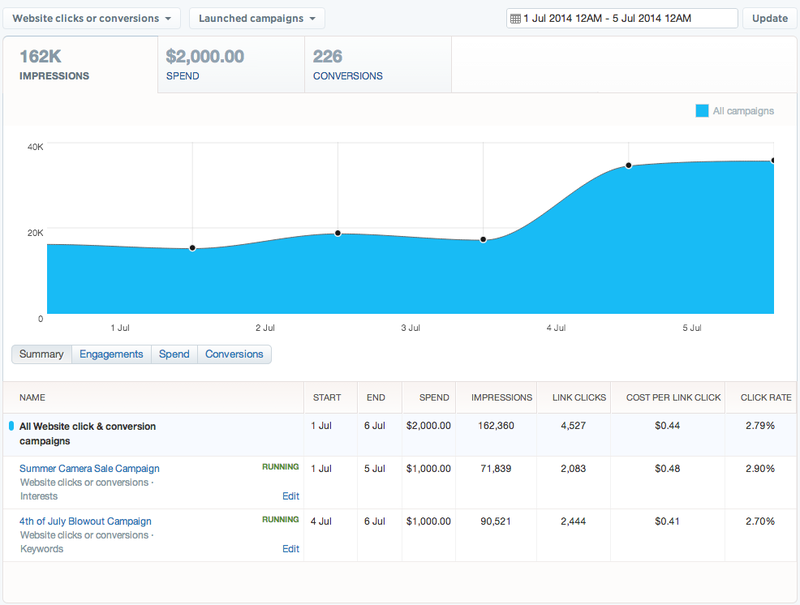 In order to make it easier to keep track of these new objective-based campaigns, the campaign dashboard will now show the metrics most relevant to the ads. So, again, if you’re looking for app installs, you’ll see the total app installs and the CPAC displayed prominently, for example. While SMBs can access the objective-based campaigns and pricing now, Twitter said it would begin to offer it to its managed clients over the next few months.